The need to reduce costs, increase profits, and enhance business or property value calls for more efficient energy upgrades and retrofits. Building owners and property managers know that implementing energy efficient systems is the fastest way to control rising energy costs and increase profitability. 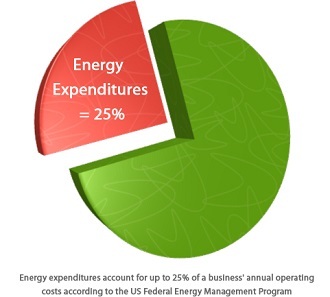 Today’s energy costs are a big part of your budget, they are rising, and you need to do something about it. You feel helpless to stop it, but you shouldn’t. There’s an affordable path to reducing your energy consumption that will pay for itself. We can help you find that path and keep you on it. 5) Prepare for time-of-use billing, greenhouse gas accounting, and future Smart Grid advancements with open system protocols. The PowerHawk® 4000 series of meters monitor remote loads, multi-tenant buildings, retail and institutional spaces, or any application that needs to integrate with building automation systems. While the PowerHawk® 6000 series works with revenue-grade electrical submetering, and high-tech communications technology. These meters gather information from electricity, gas, water and BTU meters to pinpoint savings opportunities, create an accurate picture of a building’s carbon footprint and identify failing equipment and expensive peak demand charges. The PowerHawk® Manager is a complete Metered Resource Management System for energy, water, gas and monetizable derivatives such as Green House Gases. It collects these data automatically, has the capability to analysis them, and is integrated with flexible billing capabilities. This software manager necessary information at the office or remotely around the clock. This system keeps all parties involved updated with time of use data through personal devices or displayed on public monitors depending of preferences. This software can help you manage your entire meter network remotely. It is effective in encouraging timely and appropriate intervention by providing every stakeholder with an appropriate view of meter resource usage through live dashboard and desktop information updates.